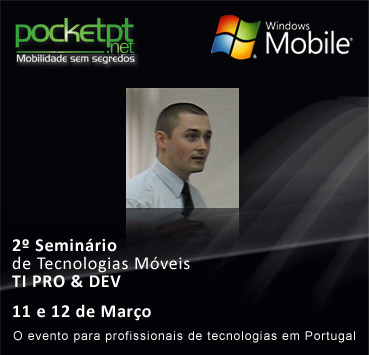 Thanks for the invitation of Nuno Luz, MVP Windows Mobile devices, and Vasco Miguel of PocketPT.net, I had the chance to speak at the Windows Mobile Tech Seminar held in Lisbon, during 11 – 12 of March, 2009. The event managed to bring together several well known figures from the Windows Mobile area, and as a result, there was a plenitude of interesting topics discussed. For me it was a pleasure to respond to this invitation, and the last 2 weeks I’ve worked hard on preparing the materials for my topic: Extending your smartphone’s functionality. Using the generic term “smartphone” to refer to various Windows Mobile devices, I’ve tried to underline some new exciting possibilities offered by this platform, but on the other hand to show the negative effects of various market trends that limit the creativity of mobile developers to “not so interesting” end user applications (with lots of bells and jingles). Sorry iPhone, I’m not a fan, I prefer real tech instead. To enrich the Mobile experience, several obstacles need to be bypassed, and most of them are related to the data input problems, but also to extending the smartphone’s functionality so it would transform in more then a simple phone. Data input is a problem, because we can’t interact very efficiently with a tiny, small shaped device. Typing messages, or using the touch screen might be more difficult then imagined. Of course there are some very intelligent solutions available here, like the innovative Fingertouch software keyboard, or the possibility of using a bluetooth mouse or keyboard with a mobile device, functionality provided by the BlueInput driver. To improve the input even further, I’ve proposed a voice command control system. Based on my work during the university years, the algorithm I’ve implemented allows the user to train a software program in any language, and then the predefined commands can be used efficiently to command a hardware device, in this case the smartphone itself. 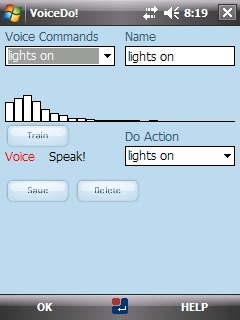 For the Lisbon Seminar, I’ve prepared a Windows Mobile version of my voice command system. More details on this algorithm and the PC version, can be viewed online, here. To make the topic more interesting, I’ve shown how a microcontroller can be used to control a led. 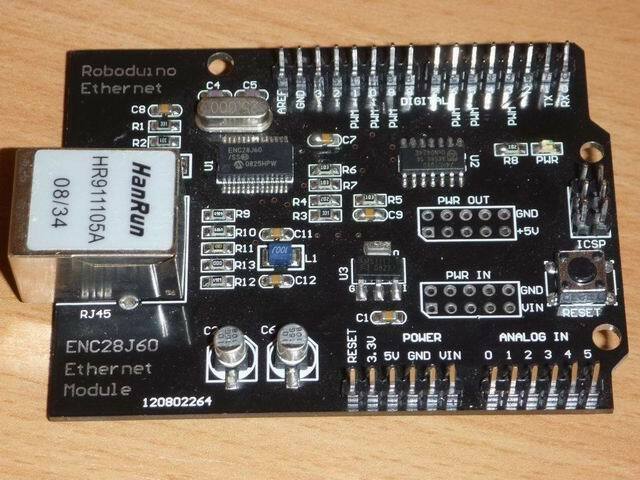 Of course this can be extended to controlling various hardware equipment. Bottom line, there are quite a few exciting new functions your mobile device can do, and I’m sure you didn’t think of that before. It’s time to enlarge your horizon, and come with something new. Don’t let yourself driven by a market trend that tries to make all mobiles look as an iphone (read it: involution). 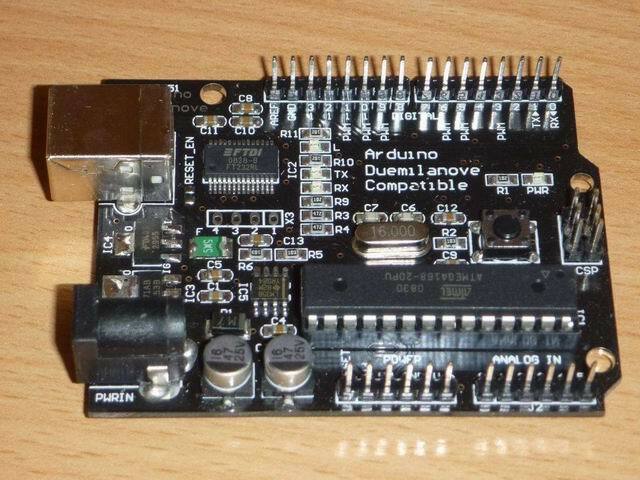 For the hardware part, you can use an ATMega8 microcontroller and a ENC28J60 chip. You’ll also need a magnetic RJ 45 connector. See the schematics here. very good. 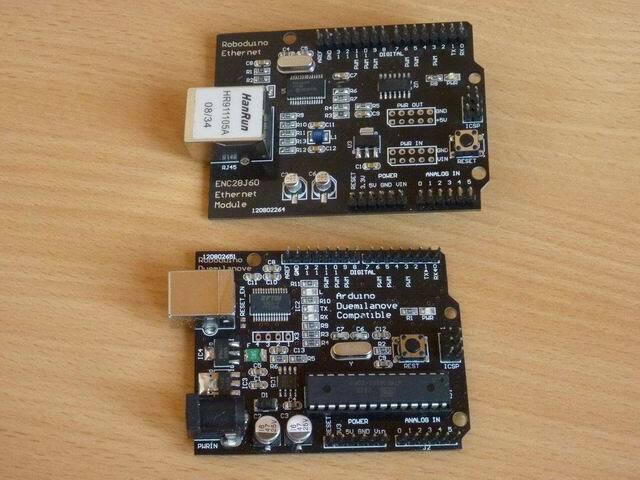 so you could use this to control hardware in a so called smart-home environment? Hi. I just dont understand how the project in the video works. What is the purpose of ethernet cabling? Are you using bluetooth or wifi to connect the smartphone to the circuit board? thx. 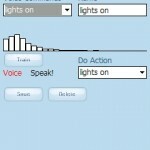 @hulago: the smartphone runs a voice command recognition software. 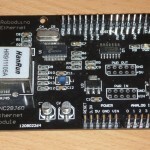 Once a voice command is recognized, the smartphone connects via TCP/IP to the arduino board to trigger the LED. 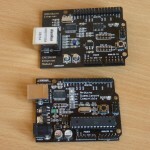 the smartphone is connected wirelessly (via WLAN) to a router, where the arduino is connected via the Ethernet cable, so they are in the same network and can communicate via TCP/IP. So as you said, I am using Wifi from the smartphone to the router, and cable from the router to the circuit board.